An Advent post: Christmas WILL happen! When I worked in the corporate world, I worked for awhile in a software development team. It is a maxim in software that there is never any time to do things right–or at least not completely right: the attitude is that “we can always go back and fix it later.” There was just a rush to get things into production. Somehow, that reminds me of Advent. We’re in such a rush to get to Christmas that we want to light all of the candles of the Advent wreath all at once. We want to tear open the little windows of our Advent calendars RIGHT NOW and discover that Christ is born and in our midst once again. We can’t stand letting the world be quiet for awhile. 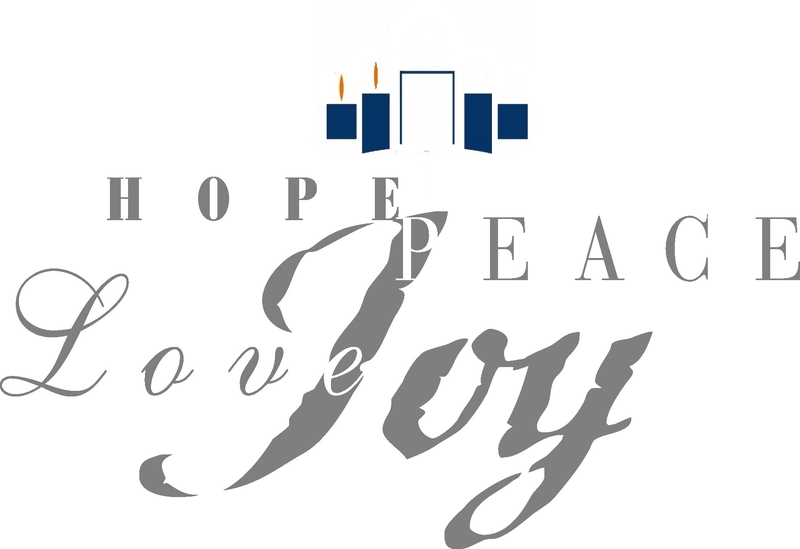 We want to skip right past hope, peace, joy and love in order to rush to the manger and the baby Jesus. Advent is like cooking a nice meal at home. It can be simple or it can be fancy, but it can’t be fast food. It needs flavor. It needs color and texture. And it needs to be a unique experience–not something manufactured for us by someone else. That manufacturing process, after all, is much that has ruined Christmas for many of us. Everything in life happens in order and in its own time. After all, when the angel came to Mary with the amazing news that she would be the mother of the Savior of the World, she still had to go through nine months of pregnancy. Maybe we should view the four weeks of Advent as a quick symbolic representation of the coming of Jesus embodied in the expectancy of Mary. I’ve never had children of my own, but I’ve known lots of pregnant women. Whether this time is difficult or easy, the one thing these women all go through is waiting. There is no choice, for the child will not come until it’s time for the child to be born. “Look at what’s happened! This is our God! Let’s celebrate, sing the joys of his salvation. we experience our own advent in this. This entry was posted on December 7, 2010 at 2:48 pm and is filed under Blogroll. You can subscribe via RSS 2.0 feed to this post's comments. As I’ve commented on other blogs this year, amazingly enough I feel more adventy than ever before. I think it’s because we severely downsized our possessions last year getting ready to sell the house and move to the Pacific Northwest. God, apparently, had other plans for us, because the house didn’t sell, and here we sit – still waiting, and very much downsized. We’re both retired now, so we didn’t have much money to buy “stuff” for gifts or for each other, and none at all for extraneous traveling (we’re still hoping to sell and move) so we won’t be with the grandkids for Christmas, but I really am enjoying the anticipation of Advent. I think I’m going to enjoy Christmas, too, even though (or especially because) it will only be the two of us. sonnie – thanks for sharing. it is so true, waiting is hard. this advent i am recovering from back surgery and there are too many metaphors that make it all a little too real for me in some ways and also very comforting in others. s-l-o-w is good. peace to you this advent. Thanks, Kathy. Peace — and healing — be with you too. Bought a green smoke in my brother, my co-worker, and my mother. about this item. ThankYou GREENSMOKE! headline? I am not suggesting your information isn’t solid, however suppose you added something to possibly get a person’s attention? I mean An Advent post: Christmas WILL happen! | A piece of my mind is kinda vanilla. You might look at Yahoo’s front page and see how they create post headlines to get viewers interested. You might add a video or a picture or two to get people interested about everything’ve written.